The last match of 2016 on the Supporting Women's Football Blog this Sunday, a game from the FAWPL South East Division One to end the year, staying in Norfolk a trip to Plantation Park to watch Norwich City Ladies at home to Enfield Town Ladies. Watched Norwich City Ladies in action at home a little over a month ago in the FA Women's Cup winning a dramatic game with local rivals Lowestoft Town Ladies in a penalty shoot-out to reach the 1st Round Proper of the competition. 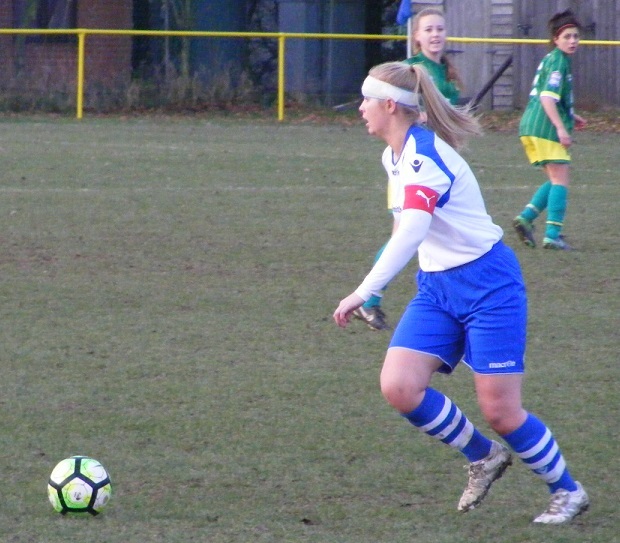 Were to lose out at home to fellow FAWPL South East Division One side, AFC Wimbledon Ladies in the next round to exit the competition leaving the league as their sole objective going into the new year. In 10th place have just the 4 points on the board a point clear of the bottom 2, Stevenage Ladies and Lowestoft Town Ladies. 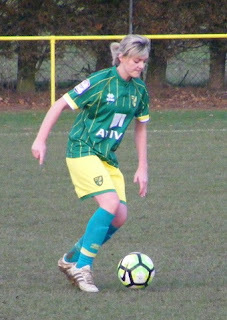 Norwich City Ladies are playing catch up with the rest of the league however having played just the 6 league games before today's game. Winning on the opening day of the season away to Lowestoft, have been integrating several new young players win their experienced squad members, losing their next 4 league games in a row including a 5-4 defeat to Actonians Ladies you might remember reading on the blog having been 4-1 down away from home only to come back to make it 4-4 in the 2nd half before eventually conceding a 5th goal to leave the capital with nothing. 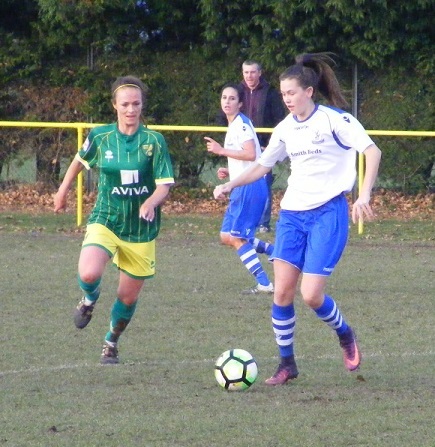 Their last league defeat away to Enfield Town Ladies back at the end of October 2-1. Got a point from their match last week welcoming 2nd placed AFC Wimbledon Ladies back to Plantation Park, Paige Shorten scoring in the last 10 minutes to make it 1-1 after the visitors had gone 1 up 10 minutes into the 2nd half. A busy 2017 looms for Norwich as they look to try and close the 8 point gap on the sides above them. 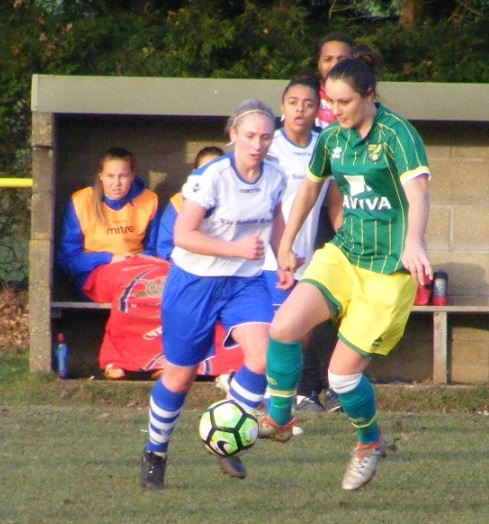 Norwich City Ladies starting XI - Ellie Bird, Rebecca Russell, Erin Wilson, Bryony Rapley (C) Brooke Osborne, Millie Davies, Jodie Drake, Kyla Love, Ellen Swift, Chelsea Garrett & Natasha Snelling. 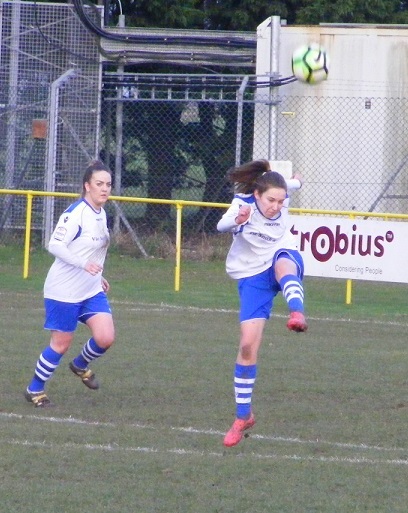 Enfield Town Ladies starting XI - Jodie Sanderson, Sheryce Slater, Danielle Smith, Claire Ford, Cally Browne, Lizzie Kent, Nuala McKevitt (C), Stavroulla Panayiotou, Danjeta Krasnici, Alena Beganovic & Anna Loftus. subs - Vicky Lewis, Kally-Anna Westgarth & Lisa Kline. It's Norwich to kick-off the 1st half wearing green shirts with yellow vertical piping, yellow shorts with green socks with Enfield lined up opposite wearing white shirts, blue shorts and blue and white hooped socks. Enfield press the ball right from the start win possession send the ball out to the left with Danjeta Krasnici looking to take the ball down the line, wins a throw deep in Norwich territory the ball is worked on into the area headed away, Enfield get it back Lizzie Kent playing it out Stavroulla Panayiotou on the right her diagonal ball into the box is marshalled back to Norwich goalkeeper, Ellie Bird by Rapley at the back. 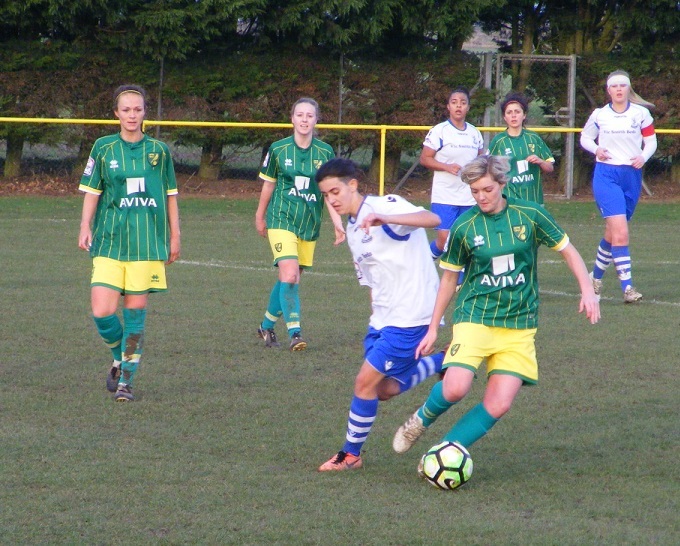 Enfield have Norwich pinned in their half at the start of the match, Panayiotou holds the ball up right wing receiving from a throw outside the box her ball crossed into the box headed away by Millie Davies for Norwich look to counter attack the ball played long for Brooke Osborne breaking on the left is tackled by Enfield's, Danielle Smith level with the top of the area Norwich get the cross into the area, Enfield's Claire Ford heading the ball out of the area for another throw on the right. Enfield get hold of the ball from the throw can't get it away good closing down by Jodie Drake for Norwich plays the pass inside for Natasha Snelling 25 yards out looks to try and slide the ball into the box with Chelsea Garrett making a run to get in behind, Ford goes with her, doesn't need to make the tackle as her goalkeeper, Jodie Sanderson coming forwards makes the call and gathers the ball into her gloves. Up the other end Bird is quickly out of her goalmouth to the left corner of her area to slide in and smother the ball at the feet of Krasnici on the left as she breaks in behind after Loftus in the middle closes down the Norwich back line the ball deflecting off her out to Krasnici. Davies fouls Enfield's, Alena Berganovic in front of the centre circle a free-kick given players go forwards lining up a top the area as Smith plays the ball forwards, McKevitt getting up looks to head the ball on into the area, runs out of play taking a touch of a Norwich body on the way through a corner is given. 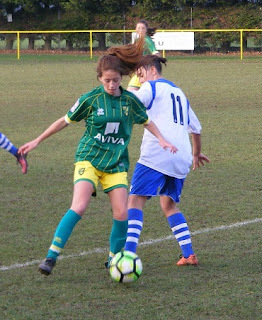 The ball sent in high to the near post is defended by Norwich, Kyla Love looks to break away down the left, Loftus gets back on her to tackle and win the ball the ball out for a throw on halfway. 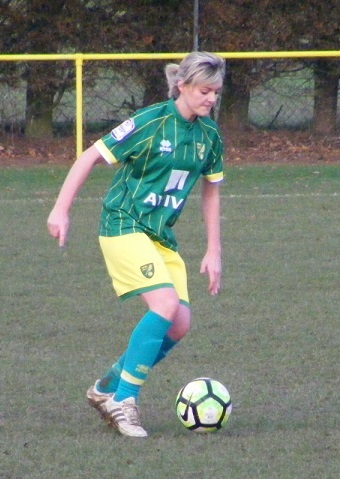 Love gets hold of the ball and drives forwards down the left for Norwich, sends a low cross into the near post area, Snelling arriving at the top of the six yard box has not been picked up the ball into her looks to help it on across the keeper, runs across the face of goal narrowly wide at the far post. Is shaping up to be a good contest between the 2 sides Norwich give away a free-kick on half-way, Ford to play the ball long up towards the Norwich area, Kent jumps to try and get her head on the ball can't reach it. The ball is kept down that end Krasnici getting a throw on the left the ball is lifted inside to Kent 25 yards out looks to head the ball on into the area, Bird coming gets hold of the ball before it can be helped on. 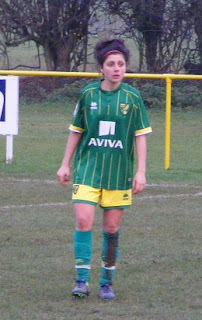 Osborne finds herself in a central position as Norwich get the ball forwards 25 yards out wins possession back as Enfield try to clear from the back plays the pass out to Garrett wide left, hooks the ball back in field with Snelling right of the D outside the box picking it up and lifting it up into the box Love breaking far post the target coming in high tries to meet the ball on the volley inside the six yard box her touch sending the ball back square across the face of goal, Sanderson stepping off her goal line gets hold of the ball. Norwich attack on the right Osborne closing down the ball knocks it down the wing for Snelling peeling in behind closing on the byline turns a cross in towards the near post, Ellen Swift making the run can't get her foot over the ball as McKevitt tracking her run turns the ball behind for the corner kick. 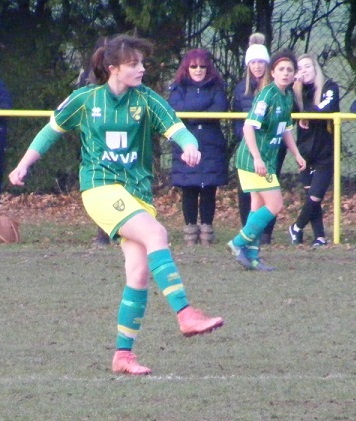 Played into the area from the right Davies makes a run towards the ball gets a touch to help it on into the middle Rapley coming in doesn't connect as she swings for the ball on the penalty spot runs wide to the left Norwich send it back in far post Ford heads clear for Enfield. Love brings the ball up the left for Norwich continues her run making for the box as she lays the ball inside for Snelling outside the box, back out to Garrett on the left is tackled by Sheryce Slater, the ball doesn't go far Garrett retrieves plays the ball up into the box left side Love seeing it into her feet turns playing the ball into the near post with Swift looking to make the run, Sanderson is across her goal quickly to get down and claim the ball. GOAL! Norwich launch a counter attack and take the lead late in the 1st half the ball with Love on the left side carries it along way is met by Slater the two coming together battling for control of the ball, Slater has it, Love doesn't give up and getting back at her steals the ball off the defender and runs in behind reaching to top of the box, shoots firing the ball in over the keeper into the back of the net 1-0. Norwich get on the attack from the restart the ball played out to the right Osborn getting forwards the early ball fired into Swift outside the box on the right, intends to let the ball run across her spin in behind, up against Ford the experienced centre back reading the move gets a foot on the ball to push it out of Swift's path. 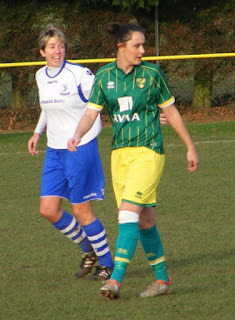 A change for Norwich as they win a free-kick inside the Enfield half, Kate Parsons coming on for Russell at the back. The fee-kick in front of the circle is played up into the Enfield area, Browne clearing fall to Drake outside the box hits a shot back in bounces wide of goal. A shot from Swift from distance 30 yards or more flies in towards goal smashes down off the cross bar bounces behind Sanderson who gets hold of the bouncing ball, long way from that goal so couldn't tell, after the match the supporters watching from that end say it bounced over the line, the officials didn't give it however as play continues. Enfield play the ball forwards push plenty of players forwards in the move the ball rolled into Kent outside the box right of the D, looks to curl the ball in towards the far post, takes a deflection off a Norwich shirt that sees the ball run wide for a corner kick. GOAL! 62 minutes into the match and Enfield capitalise on their great start to the 2nd half to take the lead from the corner kick, taken from the left a good delivery near post it's McKevitt who gets up well to meet the ball with her head sending the ball down across the face of the Norwich goal, bouncing off the base of the far stick and into the back of the net 1-2. The floodlights much needed come on as Love attacks down the left for Norwich, Slater with support from McKevitt stop her getting into the area. Swift gets onto the ball for Norwich on the right plays the ball into the box flying across the top of the six yard Garrett far post under challenge from Ford can't direct her shot on target. A corner for Norwich on the right the ball is cleared near post runs out to Love just outside the box right of the D shoots her attempt racing wide of goal. Norwich make their 2nd change Emily McErkerk comes on for Davies. Snelling is clipped the foul conceded in a central position 25 yards from goal. Parsons on the set-piece looks to go for goal getting the ball around the wall bounces inside the six yard box straight into Sanderson's gloves. Not much time left for Norwich to find a goal to level the scores 3 minutes of normal time to play as Enfield go on the attack Kline coming away with the ball in the middle charges towards the box sends the ball long towards the far post, Rapley getting the ball away before it can be met by Berganovic running in.